Positive Behavior Intervention Supports (PBIS) is a process for creating safer and more effective schools by structuring the learning environment to support the academic and social success of all students. The following matrix was developed through collaboration from the entire staff. We ask that you join us in supporting students as they get their GRRR on! 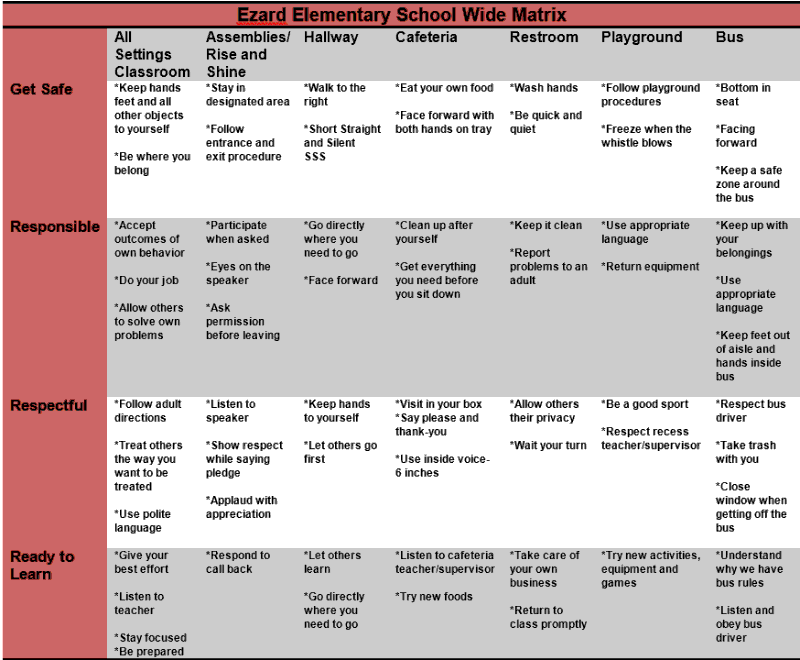 The following behavior matrix explains what it means to be GRRR in the hallways, classrooms, bus, assemblies, etc… It is our goal to reduce the occurrence of problem behaviors by teaching and demonstrating desired behaviors. Thank you for your support of PBIS!